During a panel this weekend, The Flash actress Candice Patton shot down a rumor that was really more a misconception than anything else about her role on the upcoming season. She said that reports she will be taking on a leadership role on the show are a "gross exaggeration," and seemed perplexed by the fact that they were being reported at all. What happened, of course, is that executive producer Andrew Kreisberg had told Entertainment Weekly that Iris was a "born leader," and the magazine reported that she would be "stepping up" in the absence of S.T.A.R. Labs chief Harrison Wells when she brings Team Flash back together at the start of the season. It then became widely reported that she was taking on a larger role or a "leadership role" on the strength of both Kreisberg's original quote, and EW's reporting of it. "I don't know where you guys are hearing this, but I think it's a gross exaggeration that Iris is going to take over leadership at S.T.A.R. Labs," Patton said during a panel for The Flash at DragonCon this weekend. 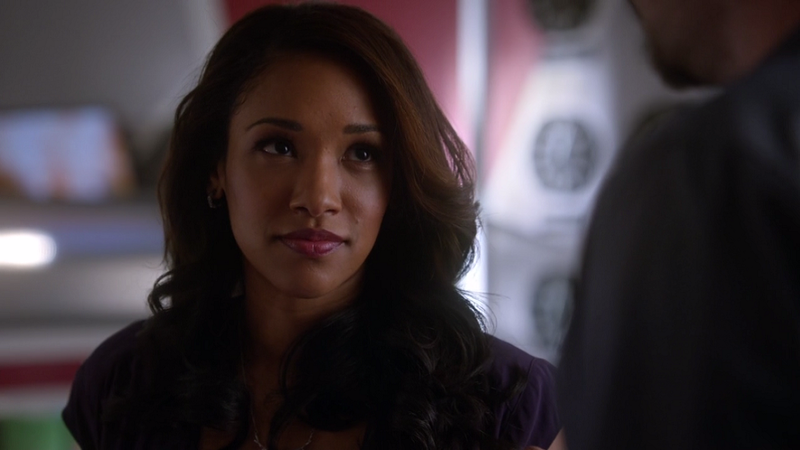 "What I will say is that she does encourage Barry Allen to come back to S.T.A.R. Labs and get the team together and keep fighting to protect Central City. As far as being a leader at S.T.A.R. Labs? No, that doesn't happen. Iris has a job. She works at Picture News and we know her as this iconic reporter and what I will say about her strength is that this season we will see her step into that role which I am very excited about because I think she has a lot to offer Team Flash in that way." You can see a fan-shot video of the full panel below. From context, it appears that the confusion was that Kreisberg was talking about the premiere, and EW, ourselves and other outlets understood him to be talking about the season. The Flash airs on Tuesday nights at 8 p.m. ET/PT starting on October 6 on The CW.